This Wednesday (29 August) will see the official opening of the 75th Venice Film Festival. The programme is crammed with internationally renowned directors and stars, boasting its most promising selection in years. Here are just a few of the most eagerly anticipated works on offer. Damien Chazelle’s follow up to La La Land promises to be literally out of this world. 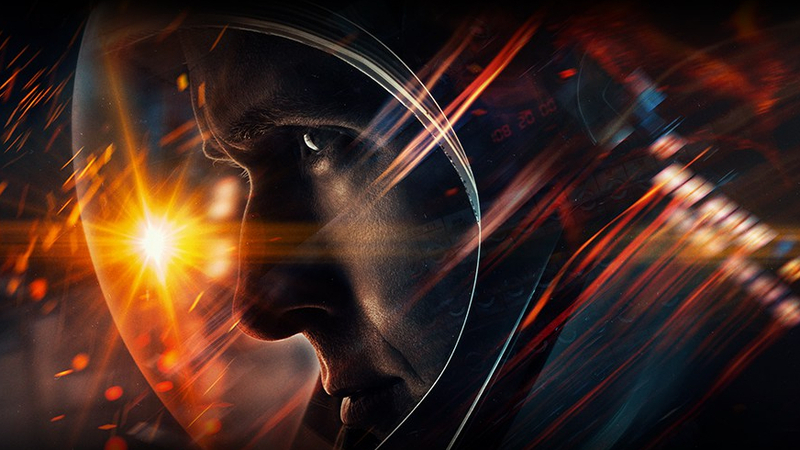 A biopic of astronaut and first man on the moon Neil Armstrong, the film stars Ryan Gosling in the lead and early buzz is already very strong. The opening film slot has often proven a good launch pad also for the Oscars in recent years and this “visceral first-hand account” based on James Hansen’s book adapted by Spotlight scribe Josh Singer will be hoping to blast off another successful campaign. British movies on the Lido have been relatively few and far between in past years, but Mike Leigh – who won the Golden Lion back in 2004 with Vera Drake – looks to leave his mark on the festival with his reconstruction of Peterloo, a pro-democracy demonstration in Manchester 1819, which turned into a massacre when drunken militia charged the crowd. The massacre became the inspiration for Percy Shelley’s Mask of Anarchy which was then quoted by Jeremy Corbyn: “You are many, they are few”. A vital if largely forgotten episode in British political history is set to once more enter the spotlight ahead of its 200th anniversary next year. Orson Welles haunts modern cinema like some Shakespearean ghost (Hamlet’s dad, Falstaff, Banquo at the feast – take your pick). Recent documentaries like Mark Cousins’ The Eyes of Orson Welles are testament to an enduring fascination with the original hyphenate. This Netflix production presents a reconstruction of Welles’ final film, a day in the life of a Hollywood film director – played by John Huston – forging a comeback. The film is a satire of old school Hollywood filmmaking as well as a flourishing experimental final note. Mary Harron focuses on the Charlie Manson cult from the point of view of three of the women Leslie Van Houten, Patricia Krenwinkel and Susan Atkins played by respectively Hannah Murray, Sosie Bacon and Marianne Rendon who fall for the charismatic murderous charms of Matt Smith’s Manson. A world away from the new Tarantino film on the same subject, the director of American Psycho will continue her probing into American psychopathy. One of the most eagerly anticipated premieres, Luca Guadagnino’s revisioning of Dario Argento’s classic horror tale sees Tilda Swinton running a dance school in 1970s Berlin with a sulphurous whiff. With music by Thom Yorke and a coven of actresses Dakota Johnson, Mia Goth and Chloë Grace Moretz, the film looks set to boost the Italian director’s international reputation, already riding high with last year’s Call Me by Your Name. Following the brilliant Childhood of a Leader, Brady Corbet returns with an historical melodrama set in America between 1999 and 2017. Its protagonist is a pop star called Celeste and it chronicles, via her gaze, key events and cultural patterns that have so far defined the early 21st century. Natalie Portman and Jude Law star. Jacques Audiard’s first English language movie is a star-studded adaptation of the cult Patrick de Witt novel. Joaquin Phoenix and John C. Reilly are the eponymous brother crossing the Wild West in a man hunt on the orders of the Commodore. Jake Gyllenhaal and Riz Ahmed fill out the cast. Greek filmmaker Yorgos Lanthimos returns to the Lido with his follow-up to The Killing of a Sacred Deer. His first period film stars Olivia Coleman as Queen Anne, an ailing monarch whose lady in waiting Rachel Weisz is charmed by the arrival of a new servant Emma Stone. Set in the same period as Barry Lyndon, there’s something of A Draughtsman’s Contract as well as the insanity of The Madness of King George. Olivier Assayas’ new film stars Guillaume Canet as a publisher struggling with the digital revolution, the new book by his best author and disagreements with his stage actress wife, played by Juliette Binoche. Assayas has consistently produced enigmatic studies that pry into the changing world around us. Showing Out of Competition, S. Craig Zahler – director of Bone Tomahawk and Brawl in Cell Block 99 – returns to Venice with a violent thriller starring Vince Vaughn and Mel Gibson. With his usual blend of crackling dialogue and extreme violence, Zahler is never dull and given the heavy weights at his disposal, his new film could be a piece of quality genre filmmaking. Following the rollercoaster special effects of Gravity, Alfonso Cuarón returns to Earth with his most personal film to date, a reconstruction of ordinary family life in Mexico in the 1970s. Working-class life is a struggle as student protests and government crackdowns as well as poverty invade the private space. Cuarón’s film looks to be a celebration of strong women having to survive in difficult circumstances. Using archive footage Ukrainian director Sergei Loznitsa reconstructs one of Stalin’s show trials from the 1930s. A group of top ranking experts in economics and engineering are accused of conspiring to plot a coup d’état with the French Prime Minister. The charges are false; the confessions are false but the drama is real. Loznitsa has proven an unflinching chronicler of his time, but here he is going back to the origins of Fake News and its deadly consequences. The biggest mass murder in Norwegian history is the subject of Paul Greengrass’ latest film, a harrowing portrayal of a far-right terrorist’s attack on both Oslo and the island of Utøya which left 77 people dead. 22 July is a Netflix production and sees the British director returning to his roots as a formidable chronicler of real life trauma and suffering.